Pinnacle Rock State Park is a 374-acre (151 ha) day use state park in Mercer County, West Virginia. The park surrounds Pinnacle Rock, a sandstone formation that rises above the surrounding terrain. Accessibility for the disabled was assessed by West Virginia University. The 2005 assessment found the park offices to be accessible. ^ "Pinnacle Rock State Park". Protected Planet. IUCN. Retrieved 30 April 2018. 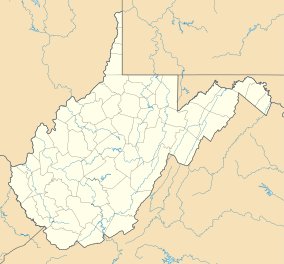 This article about a location in Mercer County, West Virginia is a stub. You can help Wikipedia by expanding it. This page was last edited on 12 November 2018, at 06:45 (UTC).